CDB and the Department of Commerce and Economic Opportunity (DCEO) are responsible for defining compliance procedures. Code enforcement is the duty of the local jurisdiction, which must meet minimum compliance documentation requirements. The 2015 IECC becomes effective for both commercial and residential buildings. The Capital Development Board (CDB), in conjunction with the Department of Commerce and Economic Opportunity, begins the update cycle for the Illinois Energy Conservation Code from the 2012 International Energy Conservation Code (IECC) to the 2015 IECC. Proposed amendments are accepted by the Illinois Energy Conservation Advisory Committee from July 1, 2014 – December 1, 2014. The 2012 Illinois Energy Conservation Code for residential buildings is implemented. Senate Bill 3724 amended the implementation date of this code and also lengthened the time that the ILECAC and CDB have to review and adopt future building code editions. A new energy code for privately funded commercial facilities is also implemented. It is the 2012 Illinois Energy Conservation Code and is based on the 2012 IECC with Illinois-specific amendments. ASHRAE Standard 90.1-2010 is an acceptable compliance path through Chapter CE-4 of the 2012 IECC. The Illinois General assembly approves SB 3724, setting the implementation date for CDB’s pending rule adopting the 2012 IECC at no earlier than January 1, 2013. The new code shall apply to any new building or structure in Illinois for which a building permit application is received by a municipality or county. Section M1507.3 of the IRC will be imported into the residential energy chapter. The next step is for the proposal to go before the Illinois Capital Development Board (CDB) and the General Assembly’s Joint Committee on Administrative Review (JCAR). A bill (HB 1612) is introduced in the Illinois General Assembly that would exempt residential alterations, renovations, and additions from needing to comply with the Illinois Energy Conservation Code (based on the 2009 IECC), significantly reducing the energy savings potential of the code. It would also add confusion to enforcement of the code by identifying the undefined term of “energy inspectors” as responsible for enforcing the energy efficiency provisions. This bill eventually dies in the House. New requirements for residential buildings as stipulated by amendments to the Energy Efficient Building Act go into effect. The 2009 IECC is established as the first energy code for residential buildings in Illinois. The new statewide code (71 IAC 600) also incorporates the 2009 IECC for privately funded commercial buildings and ASHRAE 90.1-2007 for publicly funded commercial buildings. 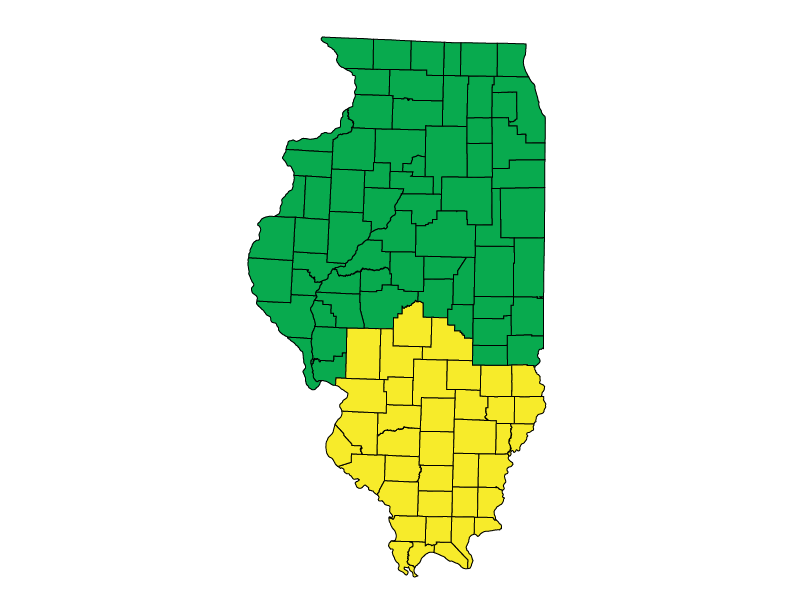 The Midwest Energy Efficiency Alliance (MEEA) releases a Request for Proposal (RFP) to measure the baseline compliance rate for residential and non-residential buildings in Illinois with the 2009 IECC. The work to be carried out in the RFP is funded as part of the recent U.S. Department of Energy solicitation. The Chicago Chapter of the US Green Building Council releases a report looking at the post-occupancy performance of LEED projects in the state. Gov. Pat Quinn signs HB 3987 into law on, establishing Public Act 096-0778.
the Illinois General Assembly approves the Energy Efficient Buildings Act (HB 3987), modifying the previous Energy Efficient Commercial Buildings Act to require the latest version of the IECC as the building energy code for both commercial and residential buildings. This legislation preempts local jurisdiction home rule power over energy codes. An automatic update provision of the bill requires the state’s Capital Development Board to adopt the most recent version of the IECC within nine months of its publication and take effect three months thereafter. The requirements of the new energy code will apply to all new residential and commercial buildings (including alterations, additions, renovations, and repairs). Local jurisdictions will be prohibited from adopting energy codes more or less stringent for residential buildings (although exemptions are provided for municipalities that have already adopted a code equivalent to or more stringent than the 2006 IECC [before May 15, 2009] or those that have a population of more than 1 million) and from adopting energy codes less stringent for commercial buildings. Local jurisdictions that do not currently administer building energy standards will not be required to adopt or enforce the new state code, but the state government will implement and enforce the new state code on their behalf. For a comprehensive history of energy code legislation in Illinois, please click here.